Lemon Harangue Pie: Are you pumped for the 2014 Internet Cat Video Festival? Are you pumped for the 2014 Internet Cat Video Festival? Tomorrow is the big day. 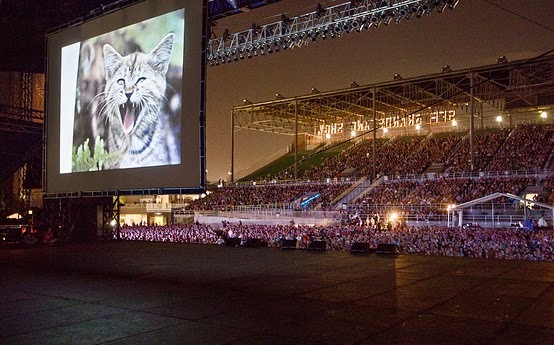 I'm talking, of course, about the third annual Internet Cat Video Festival. This year's festivities will be held at Open Field near the Walker Art Center in Minneapolis, Minnesota. Don't worry. If you are unable to attend in person, you can watch a live stream of the event, courtesy of Animal Planet.